Aditi Rao Hydari was born on October 28, 1978 in Hyderabad, Andhra Pradesh, India. At the age of six, she began learning Bharatanatyam and became a protege of acclaimed dancer Leela Samson. In 2006, she ventured into film with her debut in the Malayalam feature Prajapathi. The following year, she starred in the Tamil feature Sringaram. The film became critically successful, garnering numerous awards including three National Film Awards. 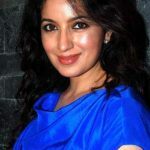 She then made her Bollywood debut with the 2011 movie Yeh Saali Zindagi in which she played the role of Shanti. That same year, she received acclaim for her performance in the motion picture Rockstar.